Roger Kaufman is director of Roger Kaufman & Associates and professor and director of the Office for Needs Assessment and Planning at Florida State University. Hugh Oakley-Browne is managing director and founder of Hugh Oakley-Browne and Associates in New Zealand, performance improvement executive with BHP in Australia. Ryan Watkins is an assistant professor at George Washington University in Washington, D.C.
Doug Leigh is an assistant professor at Pepperdine University, Los Angeles, California. 1. BUSTING OLD PARADIGMS AND USING NEW ONES: DEFINING AND SHAPING OUR FUTURE. 2. CRITICAL SUCCESS FACTORS FOR STRATEGIC THINKING THAT WORKS. 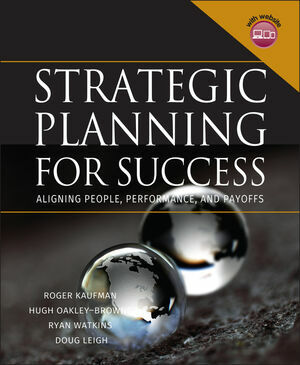 Six Critical Success Factors for Strategic Thinking and Planning. The Strategic Thinking and Planning Process. The Consequences of Ignoring the Critical Success Factors. 3. SYSTEM (AND SYSTEMS) THINKING. The Organizational Elements Describe a System. Planning from a Helicopter vs. Planning from the Ground. 4. PREPARING TO PLAN: ENSURING YOU DO THE RIGHT THING AND NOT SIMPLY DO THINGS RIGHT. Mega Level Visioning: Committing to the Longest View. Barriers—Common Mistakes Made by Strategic Planners. 5. ASSESSING NEEDS: DEFINING THE CRITICAL GAPS IN RESULTS . . .AND PUTTING THEM IN PRIORITY ORDER. Needs Assessment or Wants Assessment? Will the Needs Assessment Work? 6. SOLVING PROBLEMS: CLOSING THE PRIORITY GAPS. Two Common Problem Solving Errors. Errors in Formulating the Problem. 7. DEVELOPING SMARTER OBJECTIVES: THINKING AUDACIOUSLY, BEING AUDACIOUS, DELIVERING HIGH PAYOFF RESULTS. “Smarter” Criteria for High Impact Objectives. 8. CREATING CHANGE: MAKING SURE THE CHANGE EFFORT REALLY BROUGHT ABOUT CHANGE. Creating and Managing the Change from Present Results to Desired Results. The Paradox of Building Commitment Through Pain. Define Key Roles for Change. Preparing Change Agents and Advocates. 9. 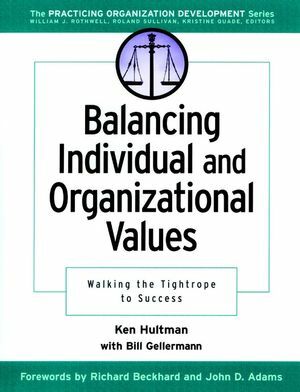 SCOPING AND SCANNING THE ORGANIZATION: WHAT MEANS WILL ACHIEVE THE HIGH PAYOFF RESULTS. The Relationships Among the Business Logics. 10. DELIVERING HIGH PAYOFF RESULTS. Fourteen Steps to Useful Results and Performance. A General Problem Solving Process Model. APPENDIX A: PARADIGM SHIFT FOR TEACHING/LEARNING. APPENDIX B: A GLOSSARY AND CLASSIFICATION OF TERMS AND TOOLS. APPENDIX C: A SUGGESTED CODE OF PROFESSIONAL CONDUCT FOR DEFINING AND DELIVERING HIGH PAYOFF RESULTS. About the International Society for Performance Improvement.